Do you feel eyes glaring at your footsteps as you stepped into a room? Or keep feeling that there’s something on your face even when there is not? Things start to get worse when you start acting silly out of your self-consciousness and that’s when people started staring for real. If social anxiety has been stopping you from being comfortable in public, you know what self-consciousness is all about. It doesn’t matter if someone told you it’s all in your head and no-one is actually looking at you. It just happens regardless of how you reminded yourself of not to be self-conscious. In fact, you know the fact that most of the thoughts are your pure imagination. But having social anxiety means you can’t stop the uncomfortable feeling of being watched, or the need to keep straightening your clothes every couple of minutes. Being overly self-conscious simply makes it impossible to enjoy being yourself in public. You spend every single minute worrying about your appearance or how people will react when you speak. In short, it makes you feel like a fool whenever you’re out in public. Is it even possible to stop being so self-conscious? When you’re fretting over every single eye that stares at you, it seems highly impossible. But when social anxiety itself is beatable, learning not to be self-conscious is simply matter of time and technique. 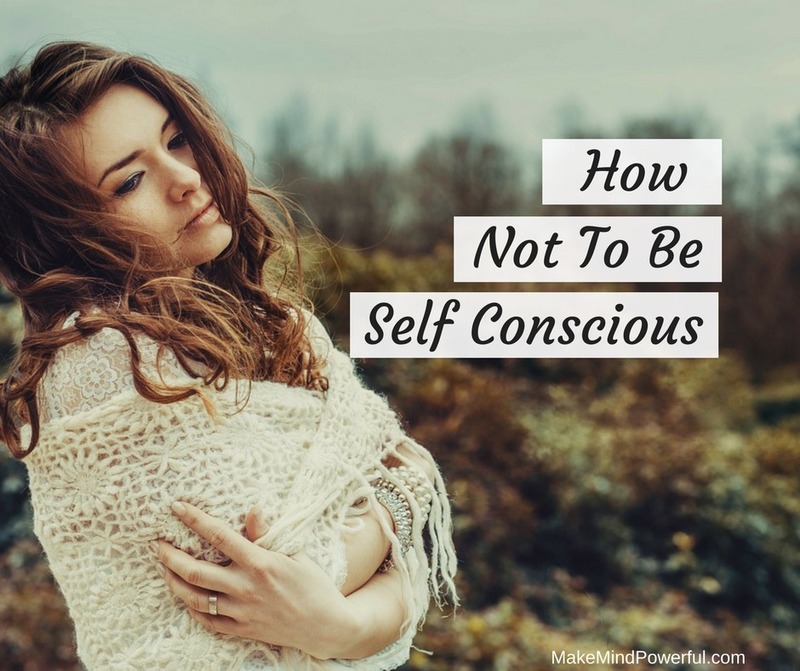 Here are a few tips to help you not to be self-conscious. So what if you’ve got a crooked tie, or your hair is a mess? Your humanity is not defined by your mere physical appearance. What if you’re bad at small talks and afraid you’ll sound boring? If you’re an introvert, you’re going to remain so with or without social anxiety. When you’re rejecting who you are, you simply make it harder for others to accept you. Tell yourself that it’s ok to be imperfect and be comfortable with that. When you don’t set expectation on who you should be, you’ll be much more comfortable with others perception of you. At times, being self-conscious will create a psychological barrier for yourself. A couple of years back, I cracked one of my teeth due to frequent grinding in sleep. While it does affect my speech, my obsession with the cracked teeth only made matter worse. I was afraid that everyone will be picking on my weird pronunciation and that definitely doesn’t help. It wasn’t until when I stop obsessing with my cracked teeth that I find I’ve been trapped by a mental barrier I’ve built on my own. I still have the cracked tooth but my speech isn’t really that bad. When you’re trying too hard to blend in an environment, you’ll freak out by the slightest thing goes wrong. That’s how our mind works. When I was struggling with social anxiety, I would wonder how everyone would dress for a party. Or will I be the first one to arrive? Well, it’s not easy for someone with social anxiety to attend a party let alone being the first one on the venue. That will draw too much attention. The socially anxious way is to slip into a gathering unnoticed. After trying for years making sure I’m doing the right and normal thing, I didn’t stop feeling self-conscious. Instead, it got worse. I then did the opposite of what everyone is doing. I went to lunch wearing short pants and T-shirts during lunch hour, where every other customer are in their formal attire. When you do what I did, your imagination will run wild, thinking that everybody must be staring at you while eating away. Instead of being the center of attention, I realized that no one really bothers. The action of daring to be different also gives you a sense of confidence that shuts the negative self-conscious thoughts away. Try something different, instead of following the norm. You’ll be amazed at what you can do when you’ve overcome the first hurdle. When your thoughts screamed “everyone is staring at you because you look ugly”, silently tell your self “Thank you but I’m not buying that“. We often get trapped in our own thoughts, thinking that they are ours. Instead, our thoughts are the result of our programming. In other words, the environment that we were exposed to during our younger days shaped our thoughts or the subconscious program that generates them. If you keep having harsh opinions on yourself, it can probably be traced to an impactful event that happens in the past, or simply the way that you’ve been brought up. Being constantly criticized or looked down upon during your childhood can contribute to that. It’s hard to tell yourself that it’s all your own imagination. It sounds logical but the emotional part of your brain will reject it. Instead, you have to start working on your subconscious programming. Hypnosis is a great way to do that. It helps to rewire your mind subconsciously in a very scientific method. Here’s the hypnosis audio I’m using to be less self-conscious when entering a room with strangers. Another great trick to stop feeling self-conscious is to shift your attention to others. Instead of worrying about your attire, pay attention to the surrounding and the people. This is where mindfulness practice can really help to increase your awareness of your surrounding. If you’re feeling awkward in a conversation, try asking questions that show your genuine interest in others. It’s unlikely the other person would have time judging you if he or she is busy talking about their hobbies. People simply like to be paid attention to. When you make someone feels important, they tend to perceive you positively, regardless of the choice of your fashion. So, develop a genuine interest in people and talk to them. As you engage people in conversations, you’ll find that you do not have to pretend to blend in anymore. You became a part of them. 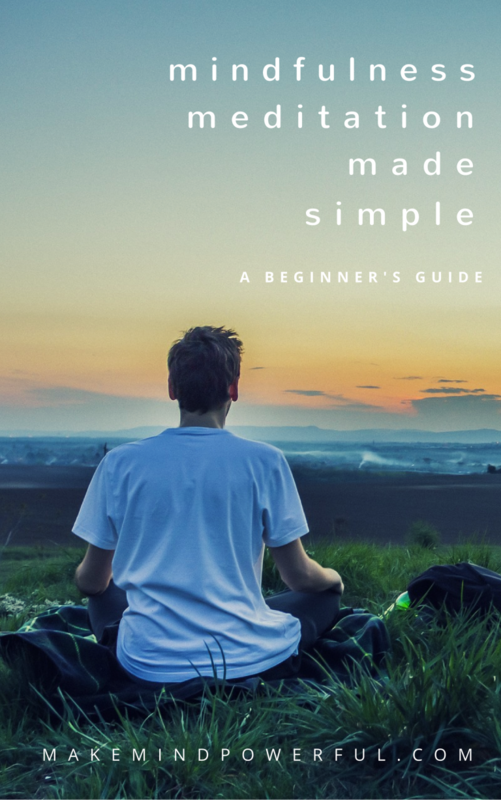 I hope these tips help you in becoming less self-conscious about yourself. Do you feel self-conscious in public? What’s your best way to be less self-conscious? Share your tips in the comment below.